Obituary for Edith Elena Mihaescu | Fletcher Funeral & Cremation Services, P.A. 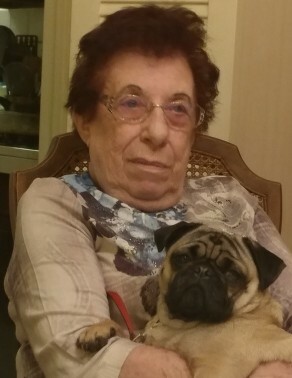 Edith Elena Mihaescu, 82, of Westminster, died on March 27, 2019, at her home. Born on June 13, 1936 in Bucharest, Romania, she was the daughter of the late Nathan Fleischer and Carolina Beilich Fleischer. She is predeceased by her husband Constantin Mihaescu who passed away in 2015. Edith had been a resident of Carroll County since 1983. She worked at Springfield Hospital for 20 years, as well as Carroll Hospital Center and the Carroll County Detention Center. She had a private psychiatry practice for over 35 years. She enjoyed gardening and traveling, especially to Ocean City. She is survived by her son Adrian Mihaescu and her three dogs Rosey, Spotty, and Bella. The family would like to thank her loyal patients of 35 years.